Written by: Malone on July 2, 2013. 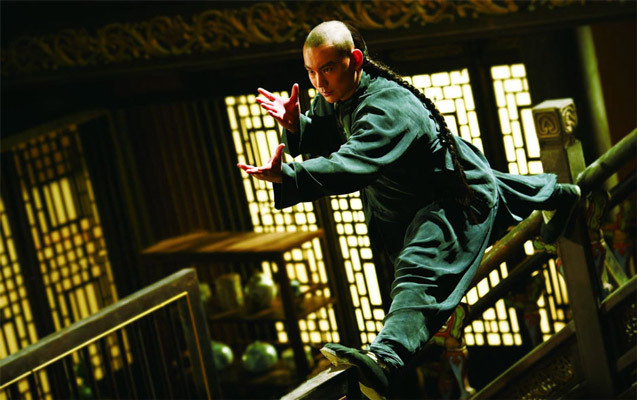 I’m a big fan of Kung Fu movies and one of the coolest I’d seen in a long time was 2012′s “Tai Chi Zero “. Stephen Fung’s martial arts extravaganza was infused with video game and steampunk elements that electrified the genre and found an appeal with mainstream audiences the world over. 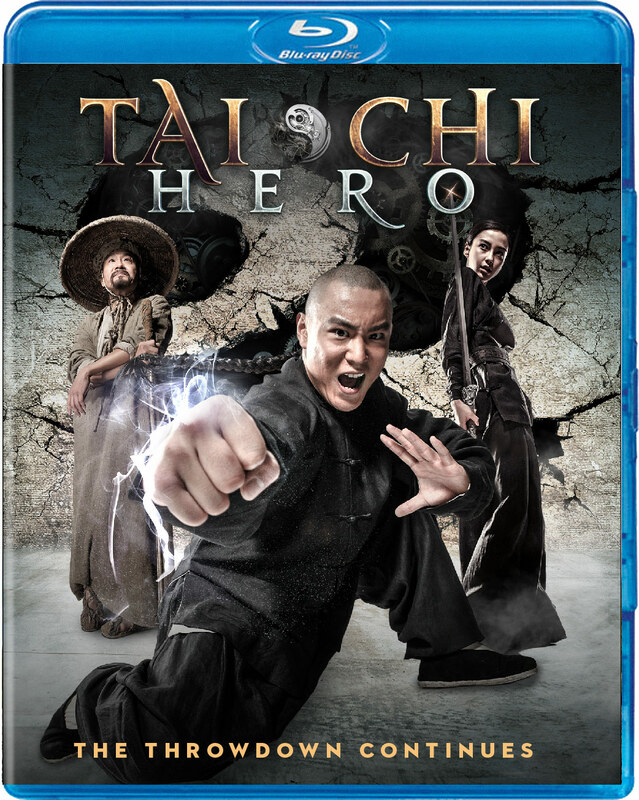 On July 2, we go from “Zero” to “Hero”, as the second film in a planned trilogy, “Tai Chi Hero “, makes it’s way to Blu-Ray and DVD courtesy of Well Go USA. Continuing right from where the first left off, “Hero” maintains the mood and humor of it’s predecessor while amping up the fight scenes and visual effects. Fans of “Zero”, as well as the uninitiated are bound to have a lot of fun with this action-packed sequel. Like in any of the “Rocky ” sequels, everything you need to know about the previous film is recapped in the first five minutes of “Tai Chi Hero “. Yang Lu Chan (Jaden Yuan) has just saved Chen Village from Fang Zi Jing’s (Eddie Ping) iron war machine, but is found guilty of having “stolen” Chen-style Kung Fu in the process. As he awaits execution for his crime, Chen Yu Niang (Angelababy), master of Chen-style and daughter of the Grandmaster agrees to marry Chan, thus making him a villager and entitling him to said martial arts training. This marriage of convenience serves solely as repayment for saving the Village and as such the couple live as master and student, not husband and wife. When Zaiyang (Feng Shaofeng), Yu Niang’s older brother returns to the village, he instantly dislikes Lu Chan. He begins preaching to the town of an old prophecy predicting their collective doom, invited upon them by this outsider. Slowly but surely, the good people of Chen village begin to turn on Lu Chan, wanting him to leave their community. Little do they know, they’ll need their hero now more than ever as Feng returns for his vengeance… this time with an entire army at his disposal. Duke Fleming (Peter Stormare) and Fang Zi Jing (Eddie Peng) plot against the good people of Chen Village. “Tai Chi Zero ” and “Tai Chi Hero ” were filmed back to back, so the story flows perfectly from the first to the second. Since the sequel was less of an afterthought then it was part 2 of a whole, not a beat is lost between the two and character arcs are allowed to flourish. After overcoming his first challenge, we now witness Lu Chan becoming the man he was promised to be throughout “Zero” while constantly upping the ante. While you could watch “Tai Chi Hero ” on its own just fine, I highly recommend watching them in order. If you have the time, it would be even more fun watching them both as a double feature. Lu Chan (Yuan) becomes a Tai Chi master!!! Both films were directed by Stephen Fung and the legendary Sammo Hung is credited as the action director. The fight scenes are tight, being handled (and often presented like) a video game – featuring everything from street fighting in Chen Village to a high stakes battle in the rafters of a royal kitchen where the competitors jump from beam to beam trying to get an edge on their opponent. A three on one hundred showdown is particularly impressive and in keeping with the series’ style, incorporates a little bit of steampunk gadgetry to add to the fun. As a matter of fact, the third film promises bionics… can you imagine a Victorian era “Terminator“???!!!!! Most of the action was done with traditional wire work, though there is a fair amount of CG to give the film its eye-popping visuals. I’d put my money on the guy in the middle. Speaking of visuals, Well Go USA did right by this Blu-Ray. The 1080p hi-def picture is presented in 16:9 widescreen and looks gorgeous during battle scenes. The quality is sharp enough to let you see ever cog on every gear of the retro-futuristic machinery being used. It might’ve just been my disc, but the trailers in the beginning of the film skipped quite a bit. Thankfully there were no playback issues during the feature itself. The DTS HD-MA 5.1 audio comes in both the original Mandarin and in English. The voice acting on the English track is on par with a late 90′s video game… and that’s not a compliment. Personally, I’d rather watch it with subtitles, anyways. 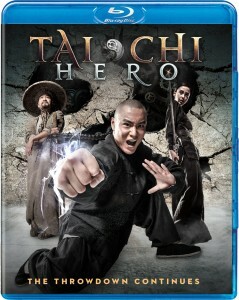 There are trailers for other Well Go USA films on the disc as well as the original and US trailers for “Tai Chi Hero “. However, the main bonus feature is a “Making of” featurette which runs about an hour long. 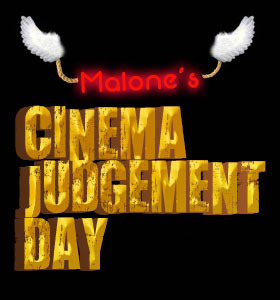 In it the actors and filmmakers discuss every aspect of the production. I give “Tai Chi Hero ” 3.5 out of 4 angels. I love where the series was, where it is and where it is going and it’s entirely possible that this is my new favorite martial arts film (though I consider both parts 1 & 2 to be a whole). In the very least, it makes it into my top 3. With plenty of action, laughs, romance and visual spectacle, “Tai Chi Hero ” and it’s predecessor show that Asian movies can be every bit the exciting blockbusters that Hollywood is typically known for.